The character of a loving and humble lifestyle shows who is truly wise. It is so easy for people to act arrogantly yet in the Lord’s eyes they are worse than silly; they are woefully ignorant. 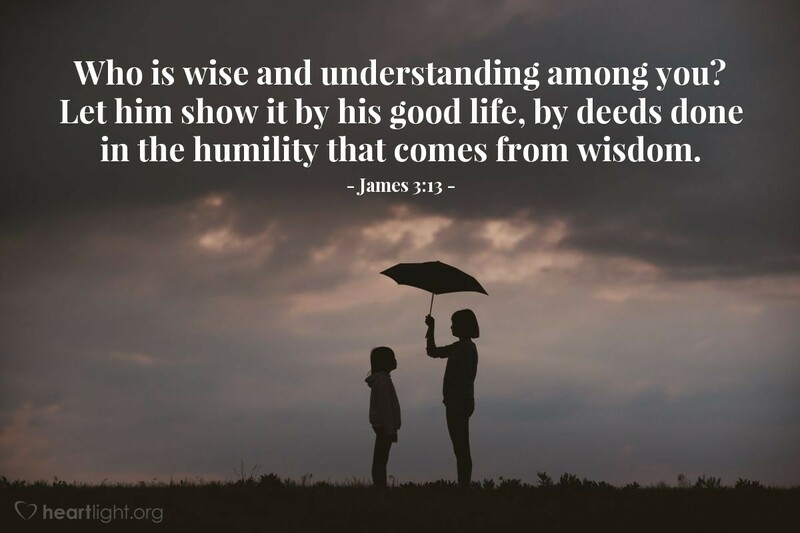 Wisdom is not about flaunting knowledge but about living a godly life. Which more closely resembles you to in your walk with Jesus — wisdom expressed through an humble and loving lifestyle or smart aleck with feelings of superiority and arrogance? Loving Shepherd, I know you have been a wise and loving Father to me. Help me share the care that you have lavished on me with the person who most needs it today. Please protect me from arrogance and feelings of superiority, and gently humble me in the ways that make me a more useful tool in your hands. In Jesus’ name I pray. Amen. The Thoughts and Prayer on Today’s Verse are written by Phil Ware. You can email questions or comments to [email protected]. Previous Tình vợ chồng. Mục sư Trần Thiện Tri. HT Tin Lành Orange.